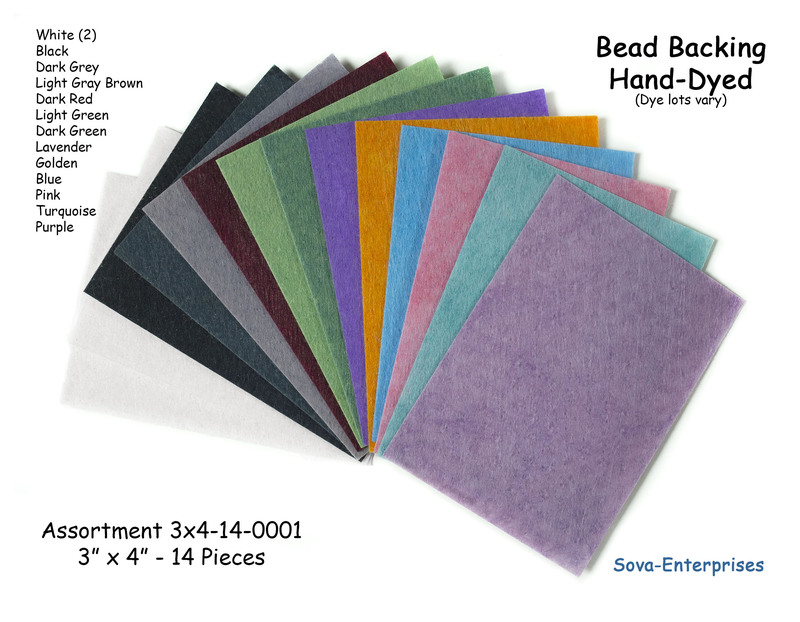 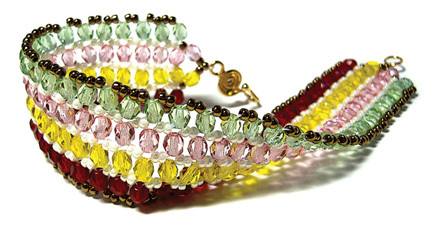 This is a fun and easy necklace for the beginner as well as the more experienced beader. 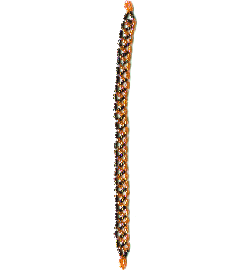 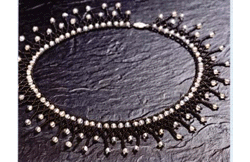 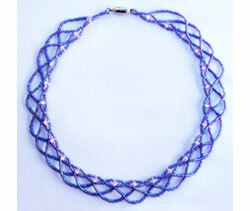 You will create an adjustable length choker style necklace, and then embellish it using different fringe techniques. 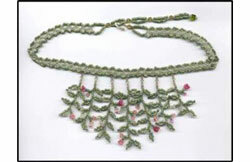 Instructions include color photos and graphic illustrations for the lace weave necklace as well as Leaf, Branch, Loop, and Drop fringe.